Manual employee tracking causes a lot of problems if a single mistake is made while doing it, especially on Excel. Improper data entry may cause the function to calculate work time and resulting pay incorrectly, with little insight as to where the problem may exist. So, it is no wonder that major discord between employees and administration staff tends to occur in such instances. Reduction of human error and increased productivity. Scheduling systems are designed specifically to track an employee's time on the clock. Excel, on the other hand, is designed to tackle a wide variety of tasks - making it possible for users to make mistakes, such as the inappropriate use of a function. Automation software limits the number of functions you can use to the ones you need for scheduling, therefore manual data entry is reduced significantly and administrators previously responsible for tracking this can move on to other tasks. Employee history recording, complete with the ability to export data for reporting purposes. An employee's work history is available for immediate review within automated scheduling software. Reviewable details of an employee's work history include, but are not limited to: sick time, requested days off, overtime, and scheduled vacations. All of these details are instantly recorded within a scheduling system and can be used to track employee habits and other work patterns, both positive and negative. More efficient time management and increased revenue. The definitive goal for agencies who use automation software is to guarantee a more productive work day for the employees responsible for these types of tasks. 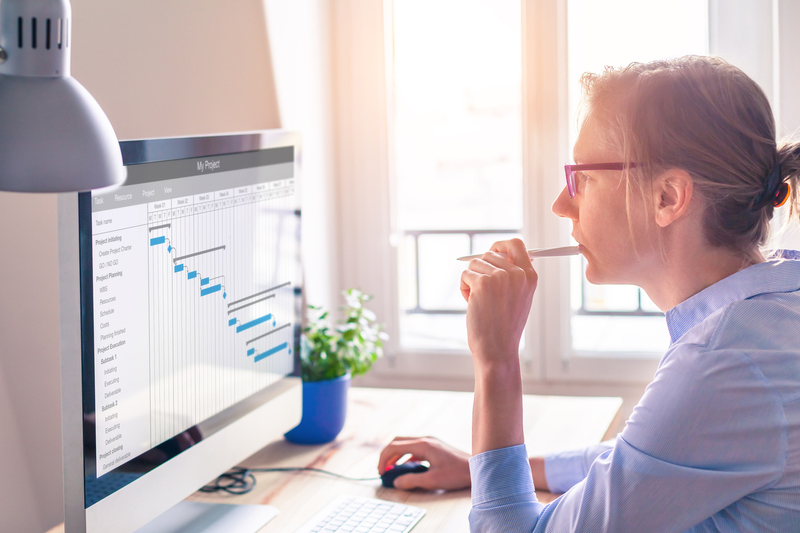 Administrators do not need to individually contact employees with updated schedule information, as automation software makes effective use of cloud computing. New schedules can be posted on the software and accessed by employees on demand from any device at any time of the day or night. This increased efficiency will result in higher productivity across the entire workforce, thus boosting your company’s bottom line. Enforcement of compliance rules at all times. Automated scheduling solutions can ensure compliance to all government regulations, laws and practices. A beneficial time and labor management solution will be able to handle many different rule sets, so your employee scheduling complies with all of them, no matter how complex or unique they may be. Government agencies that equip themselves with the right tools minimize scheduling errors, improve productivity, and save significant time with administrative tasks. Automation of labor management can actually become the simplest part of the work day. For more information on time & labor management for government and public safety employees visit VCSHCM.com.